I think their might be a competition for the use of the geekiest hero in thrillers these days. In the movie The Da Vinci Code, Tom Hanks plays a symbologist who races to uncover a mystery in order to save Christianity and the Catholic Church. 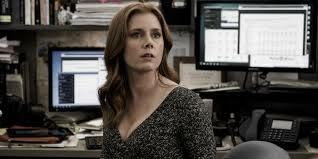 Now we have the film Arrival in which Amy Adams is a linguist who is called in to save the world from a possible alien attack. What’s next? A philatelist? A trademark attorney? The basic premise of Arrival revolves around a group of spacecraft that suddenly appear and hover above the earth in twelve different locations. In order to try to communicate with them and discover why they are here and what they want, they bring in Louise Banks (Adams), a college professor, someone who, it seems safe to say, is just a bit out of touch with her fellow man-the day after the craft arrive she comes in to teach her class and seems a little put out that no one else showed up. She joins with Ian Donnelley (Jeremy Renner), another expert, and starts visiting the craft where they slowly make contact with the aliens while making progress on translating their language, a tongue that is made up of pictures, rather than an alphabet (somewhat like many Asian languages). Will she be able to get through to them before another country decides to take a more militaristic approach? 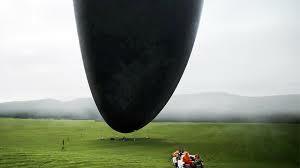 Arrival is an attempt to be what’s often called adult Sci-Fi, a movie meant to appeal to our intellect and mature emotions rather than ones that depend more on explosions, apocalyptic destruction and other special effects extravaganzas for an audience reaction. I’ll leave it to you to decide where your faves in the genre belong. 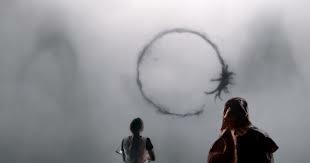 But though ambitious, I’m not sure that Arrival connects either intellectually or emotionally. I think the reason it failed for me on an emotional level is that neither Adams nor Renner have strong characters with intriguing personalities to play. Their characters are flat and uninteresting and the dialog uninspired. However, the problem might also be that though Adams and Renner are two of our finest actors of the new generation, and are quite memorable when they have real and vibrant characters to play, I’m not sure that they can bring enough to a role when there’s just not much there. They don’t seem to be able to be interesting if they don’t have interesting parts. The intellectual connection fails, I think, when it’s finally revealed why our alien friends came here in the first place. At first the suggestion was that they traveled here in order to, as Susan Sontag observed in an essay on science fiction films from the 1950’s, bring all the nations of the earth together in response to an incursion from an outside world. As I understand it, they came to give us the gift of seeing life outside of time, to see all time at once (how God is supposed to see the world). Though this does lead to the most interesting aspect of the story, one of those contradictions where time interacts upon itself, from what I could tell, these beings came all this way to import this gift to only one person, a gift that, personally, I saw no benefit from. To each his own, I suppose, but when all is said and done, it seemed pretty pointless to me. Directed by French Canadian filmmaker Denis Villeneuve (I fear we shall never see the like of Incindies again) and written by Eric Heisser from a short story by Ted Chiang. With Forest Whitaker and Michael Stuhlbarg. 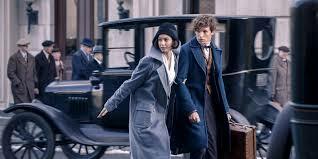 In Fantastic Beasts and Where to Find Them, the kinda, sorta, but not exactly, prequel to the Harry Potter franchise, author J.K. Rowling takes her world of magic and muggles and explores it in another time and place, specifically New York City in the 1920’s. And this time she even writes the screenplay herself, though leaving the directing to David Yates, a veteran of four of the Harry Potter films. The story itself gets off to a somewhat rocky start since there are two unrelated through lines happening in total coincidence at the same time. One revolves around an Obscurus, a creature the purveyors of magic insist doesn’t exist, but is causing massive destruction all over the city anyway. It’s caused when someone denies their magical abilities and represses them, only to basically have their id leave their body and wreck devastation in their path (for those fans of Forbidden Planet, you know what I’m getting at). 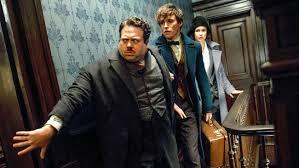 At the same time, in from England comes Newt, a wizard who, as opposed to many of his brethren and sisteren in the magical community, believes that creatures known as fantastic beasts are not to be shunned or even be afraid of, but to be cultivated and tamed and even to have their abilities harvested for good. He has come to the U.S. to return a gigantic eagle like creature to its native habitat in New Mexico. But upon arrival, through a series of unfortunate events, he becomes involved with the onset of the Obscurus. The reason for the hard going at first, I believe, is that it takes awhile to not only figure out that there are actually two different plots that are only tangentially connected, it takes a while for these two parallel lines to actually intersect. Even so, it never quite comes together in a satisfactory whole. There’s too much plot for so little time. It feels under dramatized and might actually have worked better if it had taken a page from the last Harry Potter films and been split in two (or done as a limited series on television). But it has its pleasures. It’s basically a variation on a Doctor Who episode complete with Newt wearing a Tom Baker scarf that seems to go on for an infinity and a TARDIS in a suitcase rather than a police call box. The whole thing is precariously held together due to a strong performance by Eddie Redmayne as Newt. He’s introverted and awkward and he makes his character so appealing, one is apt to forgive the movie many of its faults. He has a nice rapport and gets good support from Dan Vogler as a baker wannabe No-Mag (that’s American for muggle). He embraces this new found world of magic as if it is his salvation, which it ultimately is. Most of the other characters fall flat and barely register. Collin Farrell is especially wasted in an underdeveloped role. But Jon Voigt does well in a tiny part as a newspaper publisher and Alison Sudo is a delight as a sorceress who can read minds and has a kewpie doll voice. But the costumes, set design and all other technical aspects are first rate and the special effects should give Doctor Strange a run for its money. 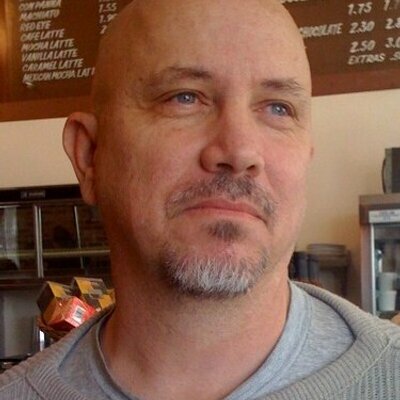 Finally, Moana, Disney’s yearly contribution to the Oscar race for best animated feature, is a film that either grabs you or it doesn’t. Though it seemed to do so with the kids in the audience as well as their parents, it did not do a Donald Trump on me. The basic story revolves around an Island princess who defies her father in order to sail the seas to return a mythic jewel to a goddess in order to save her people. Whenever the Polynesian rhythms burst forth on the soundtrack, then the movie threatens to go somewhere. 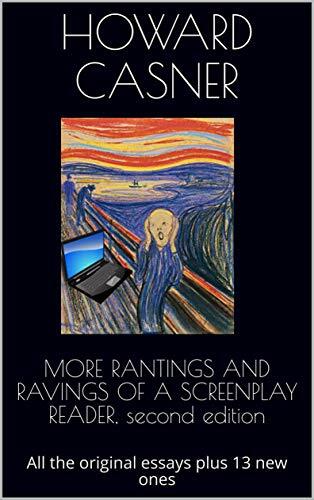 But for most of it, I was painfully aware of all the wheels and gears turning when it came to the plot and everything seemed to grind on with a painful assembly line precisions (it has seven writers and four directors, which might explain a lot). It has its moments, especially with a run in against some coconut pirates (no, not pirates who steal coconuts, but coconuts who are pirates) and through the antics of a cockeyed chicken. 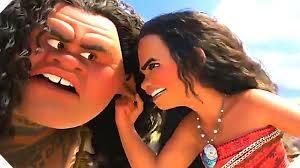 The character of Maui comes off best with a Demi-god’s ego and a body filled with animated tattoos which are a neat way to comment on the action. The voice belongs to Dwayne Johnson and he gives it a great surfer dude feel. He steals the show. With Auli’i Cravalho in her screen début as the title character. I’m not sure which is more shocking, that Disney actually cast someone of the correct ethnic background or that the film has a female lead whose conflicts aren’t resolved by getting a boyfriend or getting married.